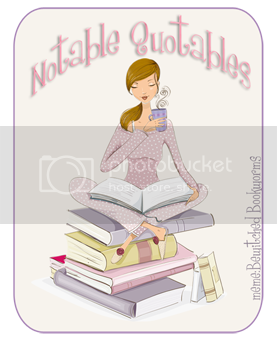 Notable Quotable is a new meme hosted by Bewitched Bookworms. I love it! Basically, a simple & sweet way for us book bloggers to stay connected.